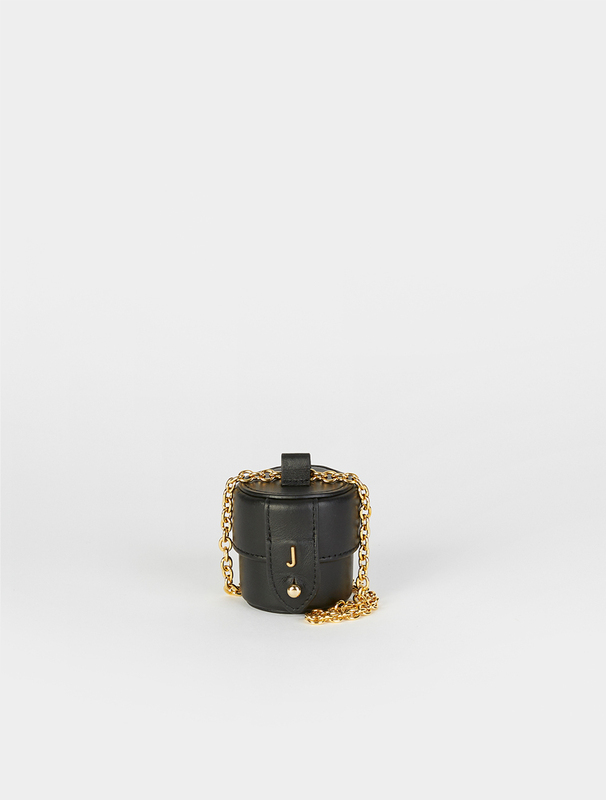 Jacquemus Le Vanity Bag. 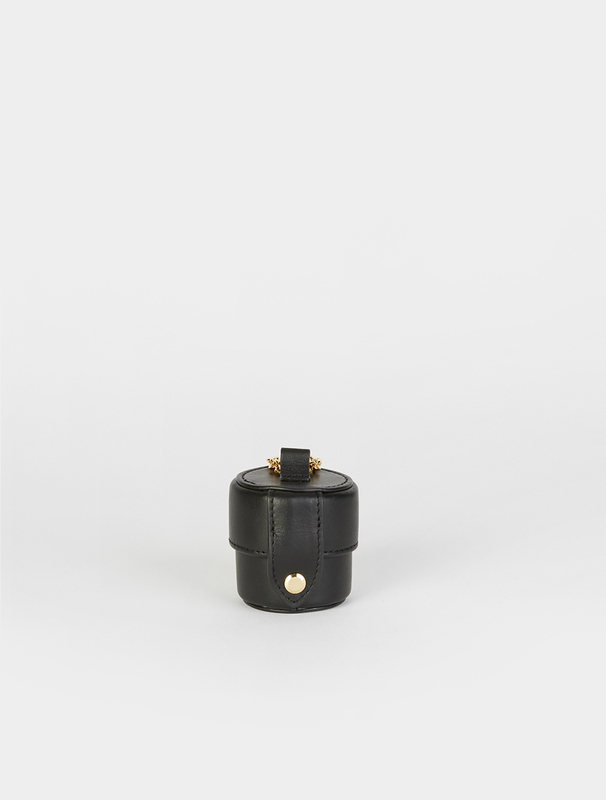 A petite cylindrical design handcrafted from leather with a pebbled finish, embellished with gold-tone lettering. 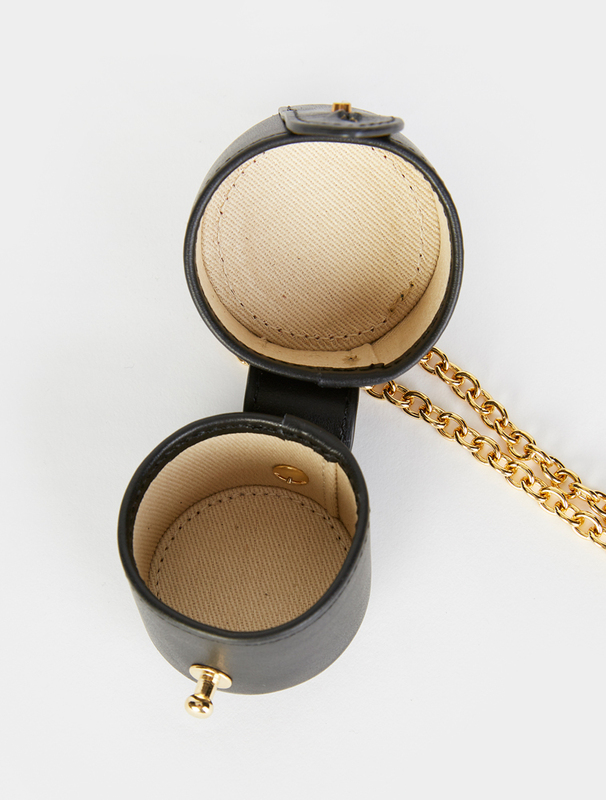 Style over the shoulder or crossbody with the gold-tone chain strap. Approx Dimensions: Height - 4.5" / 1.77cm, Length - 4.5" / 1.77cm.